The risk priority number (RPN) of failure modes and effects analysis (FMEA) is a useful tool to help make soldering decisions relating to risk. An example can best describe how the RPN works..
Let’s assume you are concerned about tin whiskers causing failures in your product (as your product has some components that only come with tinned leads). Some people have pointed out, that even with tin whisker mitigation, you can’t be completely certain that your product won’t experience tin whiskers. So is it hopeless? Not at all! Let’s assume that, with mitigation, tin whisker formation is very unlikely. On a scale of ten we might rate the probability, P, of whisker formation as a 1. You plan to conformal coat the leads, which doesn’t completely solve the problem as the whiskers have been shown to penetrate many coatings. See Figure 1. However, to be a problem, the whiskers have to penetrate the coating a second time, on a lead a long distance away, to cause a short. As the whisker is long and flexible, penetrating the coating from the outside is very unlikely. So, if tin whiskers do occur, they are not likely to cause a failure. As a result, in this case, the severity would be about 3. It is difficult to detect and fix a tin whisker fail, so, detection would be a 9 or 10. To be conservative let’s say it is a 10. Figure 1. Tin Whiskers can penetrate conformal coatings, but they have to do it twice (on the other end) to cause a fail. So we have P*S*D = 1 * 3* 10 = 30. Since the maximum number is 1,000 (10*10*10), 30 is quite small. So the overall risk is small. The aspects of the RPN that is driving the low number is the very low probability and the moderate severity. Similar concepts can be used in other aspects of life. I used to be a “white knuckle flyer” in passenger airplanes. Over the years I continually reminded myself that flying is at least 1,000 times safer than driving. So, the P for flying is very low. Over time, my fear of flying is almost completely gone. So, consider RPN for your professional and personal challenges. With even Stephen Hawking warning about AI potentially being the end of mankind, and the concern for robots taking away jobs, I thought I would add some of my new thoughts to the discussion. I continue to believe that overall technology has been, and will continue to be, a blessing. In 1900, before modern technology, life expectancy was less than 50 years; today it is about 80 years. Almost all of this advance is due to technology. But, just how smart are today’s robots that threaten us so? 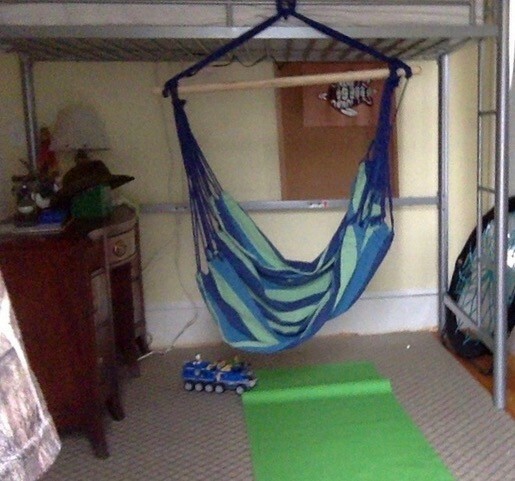 I thought of this when I found out that my 12 year old grandson, Christian Su, assembled his own bed with hammock (see Figure 2). The bed had well over 200 parts and Christian did it without any adult help. If he is like his grandfather he also did it without consulting the directions much. Surely a robot could do this right? Not even close. Maybe if someone spent 100 hours programming it and set the parts out, it might be able to. But, if just given the box and a few tools, not even close. And this skill will likely not be possible for the foreseeable future. In addition, if a robot could be programmed to assemble this bed, if given a similar but different bed, it would have to be reprogrammed. Robots can perform very focused and repetitive tasks, like welding. And, they can produce great results while not getting tired or bored. But, robots are not even close to replacing humans in any significant way. I would expand on this to include the concern that many young people are now addicted to smartphones and tablets. I applaud those that now push technology-free meals and limited screen time. Human interaction is still the most important activity in developing our youth.